This week I am really pleased to bring you the Sunday Discussion with FadingSignal. 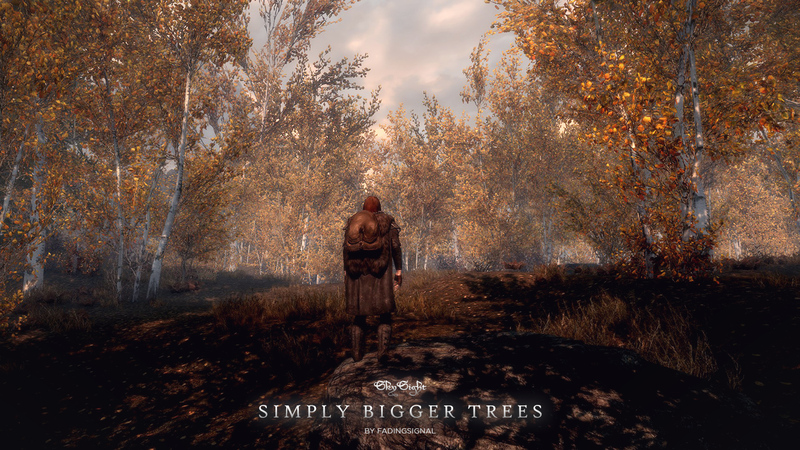 This popular mod author has provided us with a number of high quality and incredibly popular mods over the last few years, with 'True Storms' deemed a necessary mod by many of our community. Last week CDante named FadingSignal as one of his top mod authors and this week I have managed to have a chat with him. So without further ado, please give a warm welcome to FadingSignal. Hey FadingSignal, welcome to the Sunday discussion and many thanks for agreeing to talk to us. As with the previous interviews, would you mind letting us know a little bit about you please? Hi! Thanks for having me! Well let’s see, I’m a designer, turned programmer, turned product manager, currently living in Los Angeles. I’m also a musician (I write synthwave/dance music under the name “Vogel”.) My background of software, digital art, sound/music, and user experience/product is why modding became so attractive to me. I get to use it all! I really enjoy finding out a bit about an individual's gaming history, would you mind sharing yours with us? Do you still own any consoles or are you solely a PC gamer now? I still have my PS3 but it pretty much acts as a Blu-Ray player exclusively. I’ve been tempted to pick up a PS4 for some of the exclusives, and the new Zelda game looks so good that I’m debating getting a Switch. What game would you say you have the fondest memories of? Probably Fallout 3. It was the first game I sunk serious amounts of time into after a long break from gaming, and for some reason, there are so many instances where the soundtrack, the visuals, the general feeling of being there (especially during a 4-hour marathon) just locked into memory. Whenever I hear the soundtrack I have distinct memories of locations/situations in the game. How about now, what is your current favourite game? From sheer playing enjoyment, I’d have to say Witcher 3. It’s almost nice not being able to mod it very much. I have a huge list of games I need to install and check out, but so much of my game time goes toward modding Skyrim and Fallout 4! How much time per week/month would you say goes into modding a game compared to the amount of time you play it? I would say 90% of it, to be honest. I’ve only played through Skyrim and Fallout 4 one time each! I did savor those playthroughs and played all of the DLC, etc. but the rest of the time it’s been pure creation and learning. I might be a workaholic. So when you're trying to stop being a workaholic, what do you enjoy doing outside of gaming to chill out, do you have any hobbies or activities that interest you? I mentioned it initially but I also write/perform music. I DJ sometimes as well. I’ve been known to take a decent picture or two here and there, and have made a few music videos for some artists. If you can’t tell already, I like having my hands in many things at once! I also like to hike, go for long drives at night listening to music. I’m also a pretty big reader. Do you have a SoundCloud account or similar where people can go to check out your music? 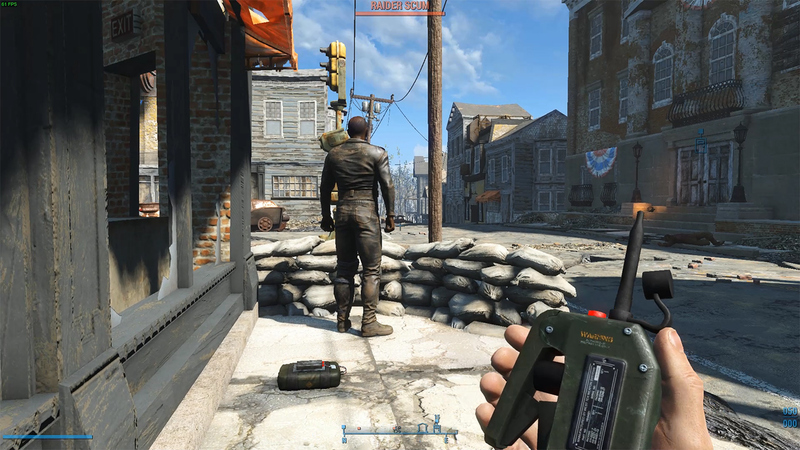 Going onto your mods, obviously True Storms for Skyrim and Fallout 4 are ‘kind of a big deal’ mods. How did you come up with the idea and how much planning went into them? Every mod I’ve ever created began with me playing the game and wishing for something that wasn’t there, then rolling up my sleeves to make it. Sometimes my wants are very specific, and when there aren’t any mods out there that do what I want, the way I want, that’s when I dive in. I do start with a feature list, a “spec sheet” etc, but in the modding world, there’s a lot of poking around and unplanned changes so you have to stay a bit loose sometimes. True Storms initially began as just a sound overhaul. I noticed that the thunder sounds in Skyrim were pretty repetitious, and more in-the-background. I play on a 5.1 surround system with a sub, so I love deep, loud sounds. I started to work on crafting the sounds, but quickly realized the visuals and particle effects needed to match the new heavy sounds, so I dug in and learned all I could about the weather systems and visual effects, and kept experimenting until I had everything just right. The other big part was getting interior rain sounds running. Overall I’m a very big fan of mods that stay close to the vanilla feel of the game, but just obsessively improve upon and expand the details. I think True Storms accomplished that, and thankfully lots of people do too! 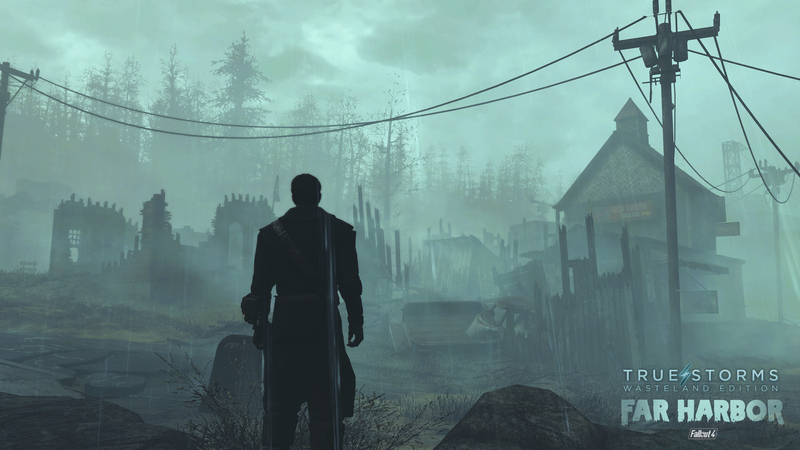 For Fallout 4, I knew from the first time I saw the vanilla rain storms that I was going to bring True Storms into the wasteland. I didn’t want to just “port” it though, so I rebuilt it all. Todd Howard said in a launch interview that “these big radiation storms in the glowing sea blow through the commonwealth” and it got me thinking, why not creatures, too? And the random ghoul attacks feature was born. How long would a mod like that take you to create? 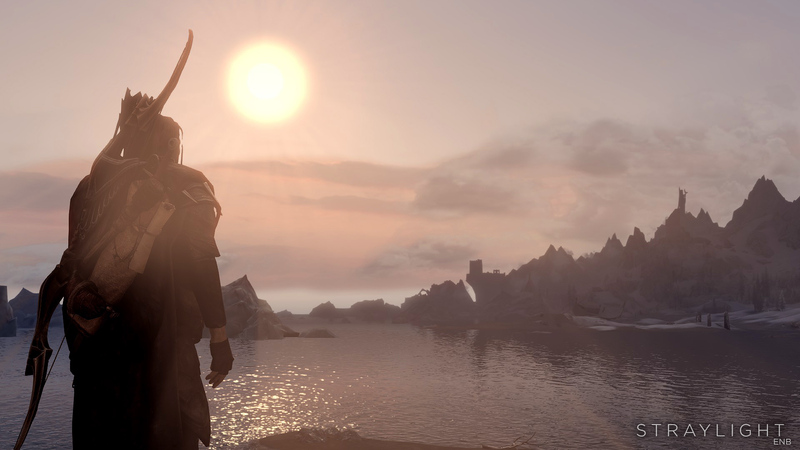 True Storms for Skyrim took me probably a week or two off and on since the weather system was a new world to me. 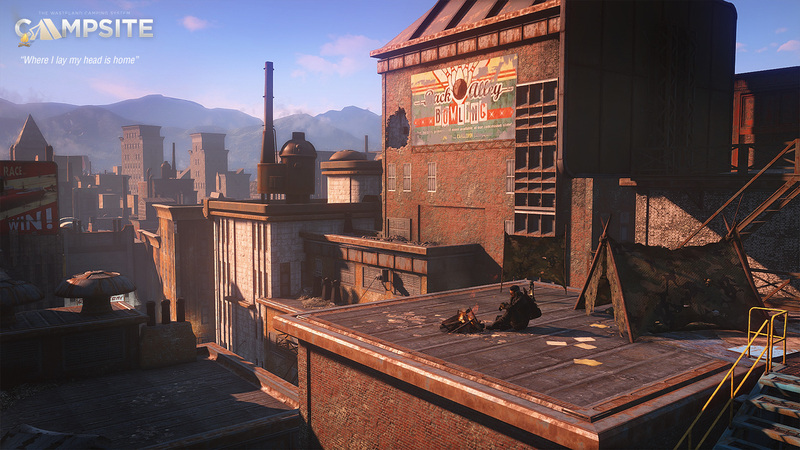 True Storms for FO4 was a bigger challenge because I made it before the CK came out, when the game was barely a month old, and a lot of us modders were still figuring out the bits and pieces with the available tools. The first version of True Storms for FO4 took me about a week. The updates with the ghoul attacks and all that was probably 2 or so weeks beyond that. You created the mod, so it’s only fair that I ask you what weather effect you would say is your favourite? I would say the SOUNDS. Having interior rain/thunder, and such intense outdoor thunder just feels good. 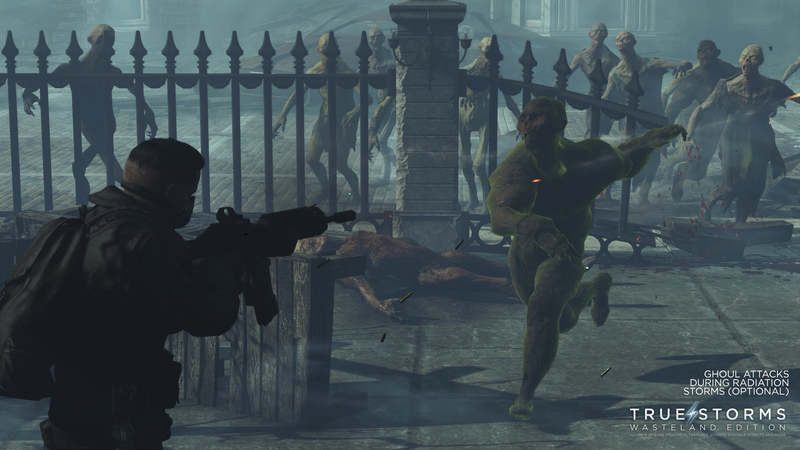 For Fallout 4 I gotta say the random ghoul attacks are definitely a favorite! How would you like to see the modding scene evolve, grow or change? Firstly I’ve been lucky enough to get to see it evolve over the last few years. The tools, community, etc. are stronger than ever IMO. And it being wild, open, unstructured, is part of what makes it so great and so diverse, so it’s tough to say! I would like to see modding become more “mainstream”, with possibly more direct involvement from game developers, and ways for creators to be empowered to make more, if not turn it into an actual career path somehow. In terms of career path for modders, did you see the recent news that the creators of Ark: Survival Evolved, Studio Wildcard, are going to be paying 15 modders a considerable amount of money each month to design, create and release mods for that game? What are your thoughts on that? I think this is a new frontier that has clear benefits to both developers and mod creators if it can be done right. The fact that they are jumping in front of it early on, and with generous compensation is a smart idea, IMO. Because it’s such a fairly new realm, we’ll have to see how it pans out longer-term, but I like the idea of talent being recognized and rewarded appropriately. In one of our most recent Sunday Discussions, we spoke to GamerPoets, a lovely guy who creates YouTube video tutorials and videos based on modding. 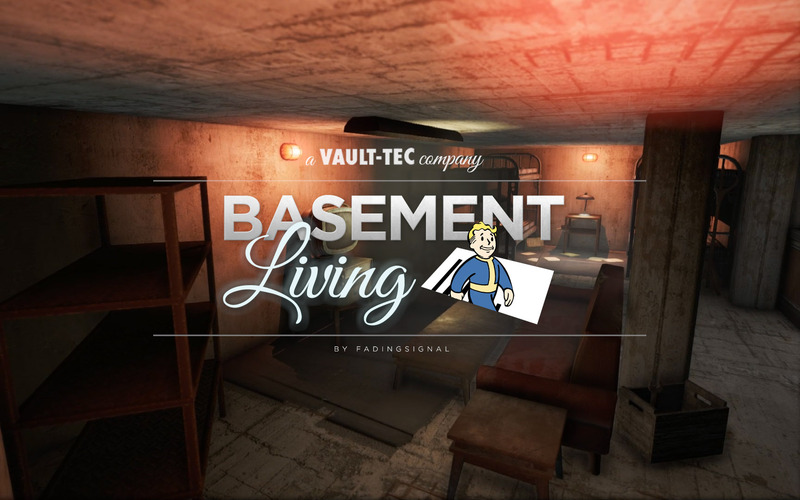 What do you think of YouTubers that use mods as a way of getting a viewer base and making some money while Bethesda still shuts down mod authors from utilising sites such as Patreon? Ooh, we’re getting a little controversial now! This is a touchy subject, so forgive me if I tread lightly. I have no problem with YouTubers doing their thing, and getting views, and getting paid. There’s supply and demand going on, and it gives great exposure to mods and their authors. That said, I feel like the finer points of where those lines are drawn for mod authors could use some work and some open discussion. How about paid modding, we haven’t spoken about it for a while and I know you have some views on that subject - would you mind sharing those with us? Another touchy one! I do hold the (unpopular) opinion that it would be great if there was a path for mod authors to somehow do this as a living. I personally would love for this to be my actual job. I have tons of detailed documents for mod projects I may never build because I don’t have the free time or resource. Do you have any current or upcoming projects that you want to talk about or disclose? Do you use a lot of mods on your own playthroughs? TONS. The last couple years I’ve got to the point where I mod mods for my own personal load order, so I spend tons of time Frankenstein-ing things together into something custom. I think in Skyrim classic I had around 500 mods merged and crammed and morphed down into the 255 limit. Ha, amazing, think (if time was no object) you could ever merge them into one “Mega Mod”? What if I was to give you a limit of 10 mods to install, both for Skyrim and Fallout 4? And no, you are not allowed to merge any. What would you choose? Enhanced Lights and FX - It’s unreal how much this adds to the game. Immersive HUD - Give me a clear view, or give me death! Interesting NPCs - Adds so much life to the world, gotta have it. Immersive Armors+Weapons - Sorry I know that’s two, but they really are a pair! Inhabitants of Skyrim - Vanilla hair version. Very minor tweaks that adjust odd proportions of some vanilla NPCs. Goes a long way. Okay, do you mod any other games? If so, do you have any favourites for them that you can give us a quick rundown on? Currently, no. I’m itching to try out some Witcher 3 modding though! What about mod authors? Which mod authors do you look up to? Oh tons! There are a number of modders who are flat-out professionals and inspire me all the time, some of whom I’m lucky to call friends: Chesko, Isoku, Elianora, Expired6978, Ousnius, Jon (NifSkope), Registrator2000, and DOOM/Valdicil/Gambit77 who did a lot of pioneering work in Fallout 4 and laid groundwork for things like slot standards. You are a very positive person and produce really popular mods, so do you get negative criticism and if so, how do you cope with it? Thank you! That’s a big compliment. I welcome constructive feedback, ideas, conversation with open arms, but I do get some flat-out negative criticism or unwarranted angry comments sometimes. It can get under my skin, but thankfully it’s rare, so I’m able to just brush it off. No matter what a person does, or how successful, there will always be someone who is unhappy with it, or who wants to troll or fight, so you have to just take it in stride and focus on the positive. On the flip side, you must also receive a lot of positive messages, have any of them ever stuck out and made you smile/regain your faith in humanity? Yes! People send me messages sometimes telling me that something I made greatly added to their game experience, or that some little bit of modding advice I gave them helped them learn to create something themselves or fix an issue, and it always feels good. My motivation for doing this has always been because I just want these cool little things to exist, and so when other people express their enjoyment, it’s just nice to hear. My favorite is when people in the comments sections on my mods start helping each other out with config/install issues and such. In terms of advice for our readership, what would you say to someone who is just getting started in modding? Most importantly, have an idea before you try and learn. That keeps the focus. If you just want to learn “how to make mods”, there’s just too much to spread yourself thin with. Think of it like the human body -- doctors spend years learning about a single organ, and become a specialist on just that one thing, with only peripheral knowledge of everything else. If you love storytelling, think about making quests. If you’re a digital artist, or want to become one, look at how to make textures. Learn each component before trying to assemble the whole. After that, it’s passion, and patience. There is a LOT of work in even small things, reverse engineering, figuring out workarounds, and flat-out walls you’ll hit when making mods, and if you don’t have the passion for the end result, and the patience to unwind the ball of yarn to get there, it can lead to frustration and burnout. I see a lot of people asking how to start learning the CK so they can build their big DLC-sized new land mod. Not gonna happen. You HAVE to start small. We’re talking about an entire game engine at your fingertips here. My first mod idea was a big quest / story with new locations, lore integration, etc. and I quickly realized I had no idea what I was doing. So I retextured Skyrim’s moons instead! I only focused on texture mods for some time before I moved onto more complex things. Hit YouTube and learn the very basics of xEdit first. Then get into the CK. Don’t try to skip ahead, just learn the controls, the interface, the very basics. Change some weapon damage, change an NPCs default outfit -- small moves. Over time all of those small moves will end up in a large skill set. It’s only now after 3 years of having my nose in this stuff day-in and day-out that I can do HALF of what I would like to do. So think big but start small and stick it out! You said to hit up YouTube, would you say that this is your primary resource in learning new things? Where else would you suggest people go to learn? It definitely is. When I first got into installing mods at all, Gopher’s channel guided me through that. DarkFox127’s channel was a huge help when I started cracking open the depths of the CK. Tutorials for Blender or 3DS Max are always everywhere on YouTube for anything I need to learn how to do. The NexusMods forums and official Bethesda forums were both incredibly helpful when I was just starting out. Lots of people there ready to look at code snippets and give input! Thank you so much for chatting to me, it’s been a pleasure. I wish you all the best for the future and look forward to seeing what comes next from you. Thank you for the opportunity! It’s always a pleasure. I wish yourself and Nexus all the best as well! Oh yes the lovely fadingsignal one of the most sexiest looking modders out there and very creative and informative indeed. And also resides in LA which is where I grew up, now residing in OC Cali. Thanks for this lovely interview. Clicking to pictures could lead to the mods, making them easy to find. I second this. Link mod screenshots to the mods. Exhausted the GTNYMA's almost. Who is next. Elianora? Next up we have a lovely mod author who goes by the name of Robbie922004. If you have a suggestion for an author you would like to hear from, please feel free to drop me a message, and I'll see what I can do. I am truly enjoying chatting to these individuals and hope that you enjoy reading them. Already cover Elianora a nice interview. I am a console player I really like this interview section that the nexus have. help a lot to know better the MA. fadingsignal's texture information has always been super helpful. And Commander Keen was the sh-- back in the day. Ah, gaming memories. This was really fun and inspirational to read, keep up the great work guys, so lovely. Great interview from a great mod author. Love your stuff, FadingSignal. Great interview. What a kind and clever fellow.